Pricing - Can You Escape? Bring your group and have a Zombie Hunting party. Everyone in your party will get extra paintballs for more zombie hunting action and space for you and your group to relax before or after your ride. Just bring friends and have a great time. Raise money for your organization and by being zombies. 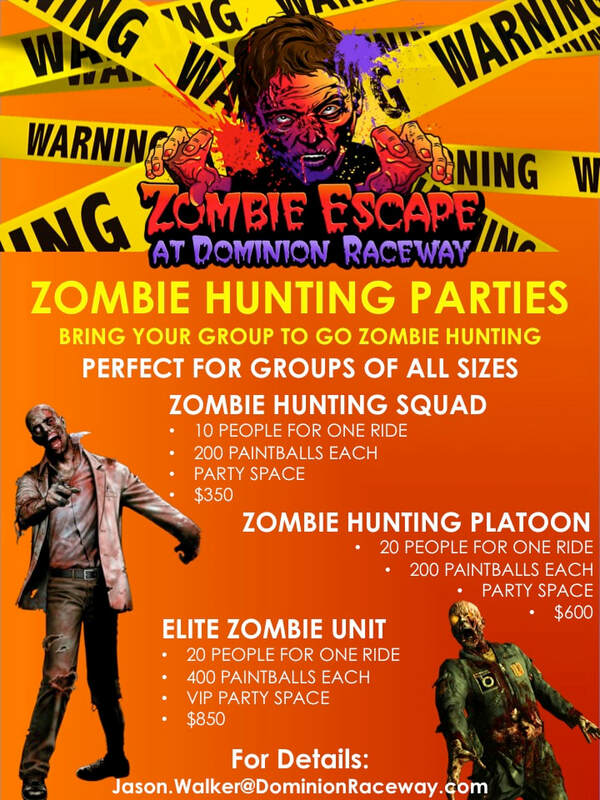 Bring your group or party to Zombie Escape at Dominion Raceway and have a Zombie Hunting Party. 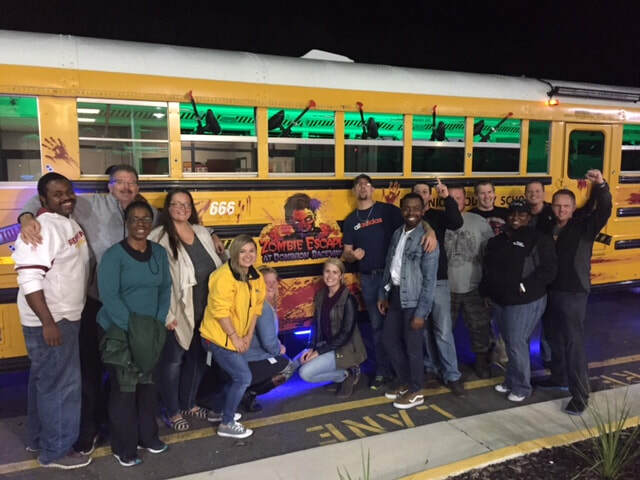 Get your own zombie escape bus and private party area before or after the ride. If you really want to survive in style, get your own private suite with the Elite Survivor Squad Party. The best way to escape is together.